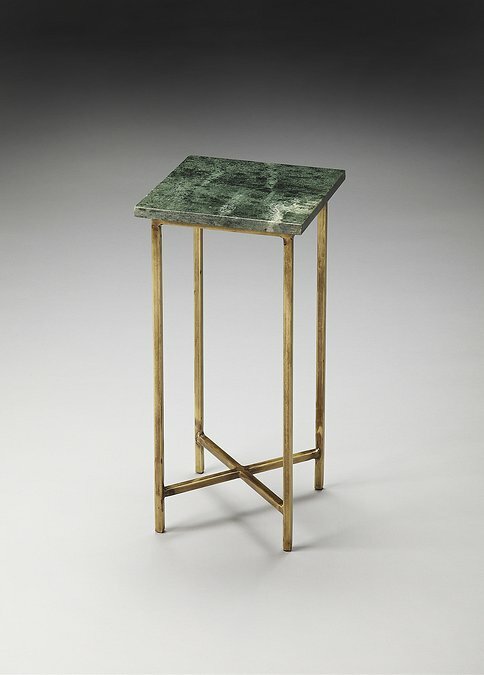 Butler 2869140 - This divine table features an “X” frame stretcher base with a marble stone inset in the square top. Combination of design elegance and effective functionality makes this end table an extraordinary product that can seamlessly blend in and complement various different types of home interior design plans. Place it against the end of your sofa or beside the armchair to bring out the best in its beauty. The sleek and stylish design of this table is a sure shot winner in any type of surrounding. The surface area of the table is small; however, it is perfect for keeping small lampshade or flower vases.